KANSAS CITY, Mo. – Kyle Mangas, Paul Marandet and Logan Godfrey were among the NAIA Men’s Basketball All-American honorees. 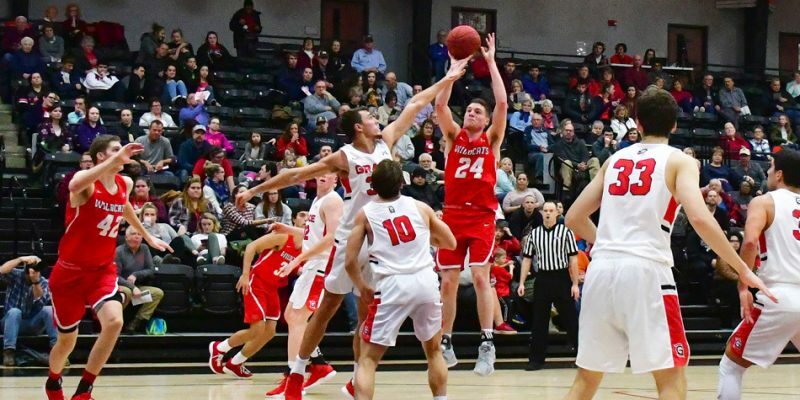 AVON, Ohio – Indiana Wesleyan’s Kyle Mangas was named the Crossroads League Player of the Week for the second week in a row. AVON, Ohio – Kyle Mangas was voted Player of the Year for the second year in a row and Paul Marandet was named Crossroads League First Team. 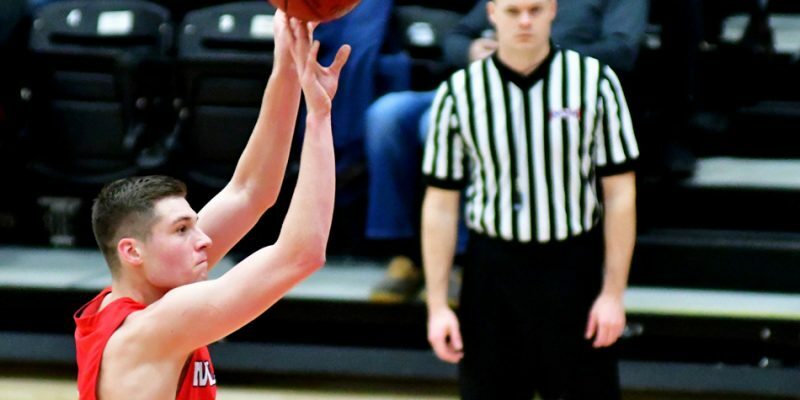 MARION – Kyle Mangas had 25 points Tuesday night as Indiana Wesleyan repeated as Crossroads League champions. Basketball results for Tuesday, Jan. 15. 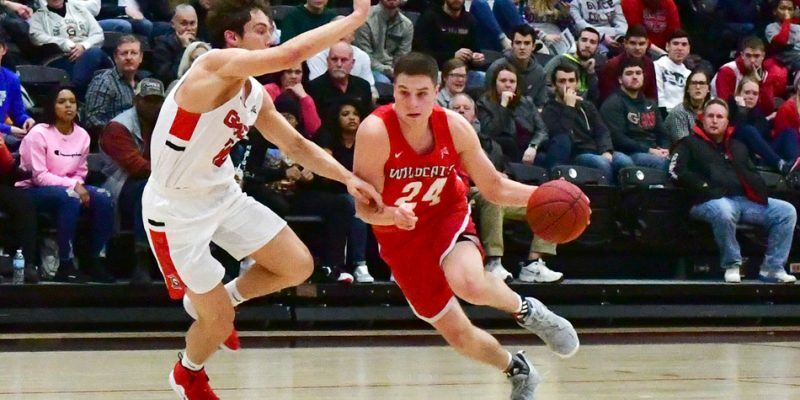 AVON, Ohio – IWU’s Kyle Mangas was selected as the Crossroads League Preseason Player of the Year choice. 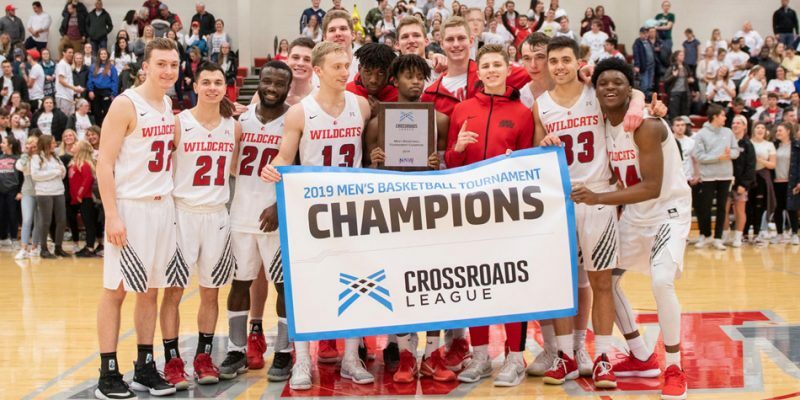 AVON, OHIO – Indiana Wesleyan claimed the Crossroads League All-Sports Championship for 2017-18. 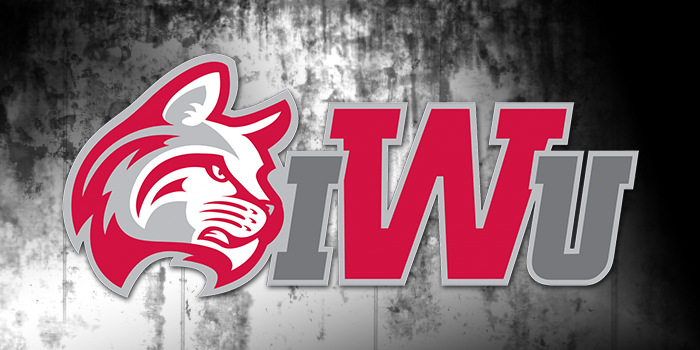 MARION – The Indiana Wesleyan men’s basketball team will unveil its national championship banner on April 12. 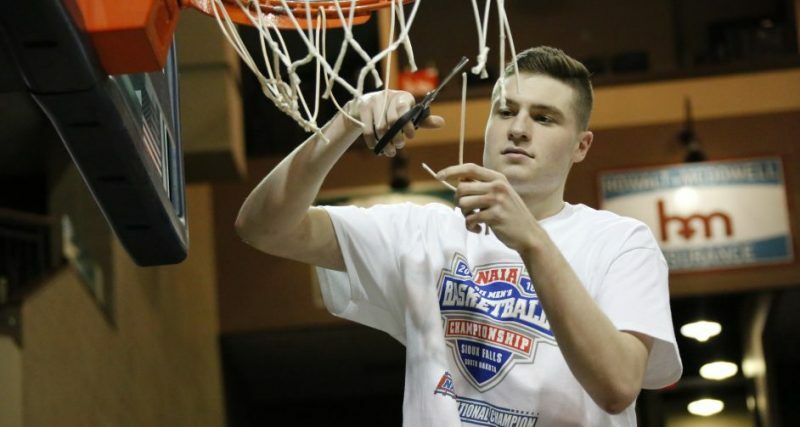 KANSAS CITY – Former Warsaw basketball stars Kyle Mangas and Paul Marandet were named All-Americans by the NAIA on Thursday. SIOUX, FALLS, S.D. 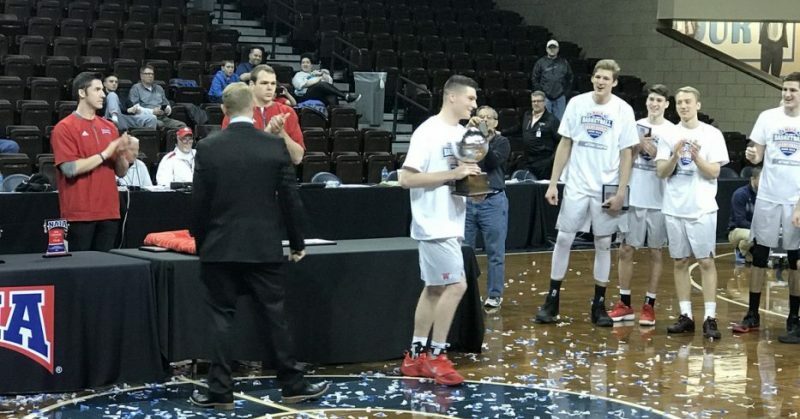 – Warsaw’s Kyle Mangas was named MVP after leading Indiana Wesleyan to a national championship Tuesday night. 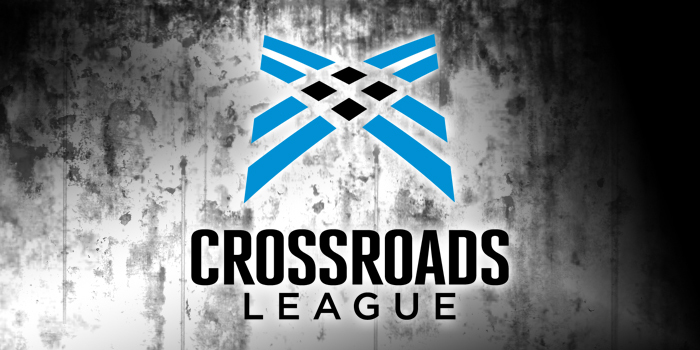 A pair of familiar foes from the Crossroads League will square off tonight with a national championship on the line. SIOUX FALLS, S.D. 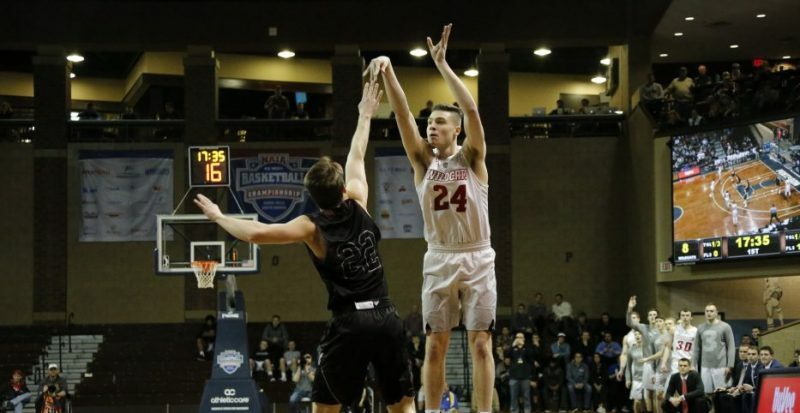 – Kyle Mangas and his Indiana Wesleyan basketball team will play for a national championship after winning a semifinal thriller in the NAIA Tournament Monday night. 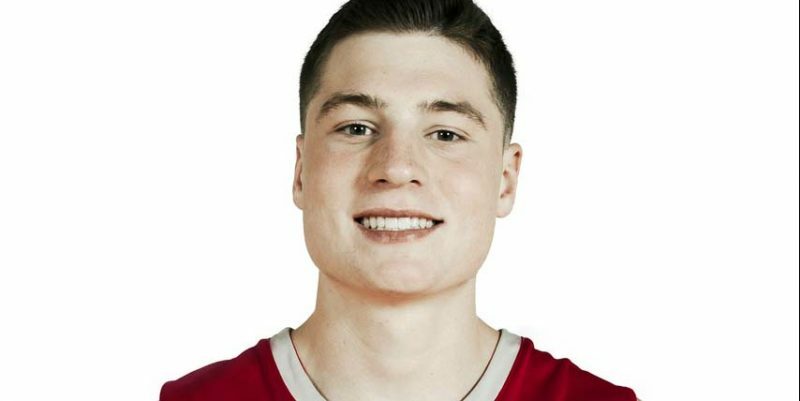 SIOUX FALLS, S. D. – Former Warsaw basketball star Kyle Mangas set the IWU single-season scoring record Saturday night. Kyle Mangas continued his incredible freshman season by leading his Indiana Wesleyan team to another tourney win Friday night. 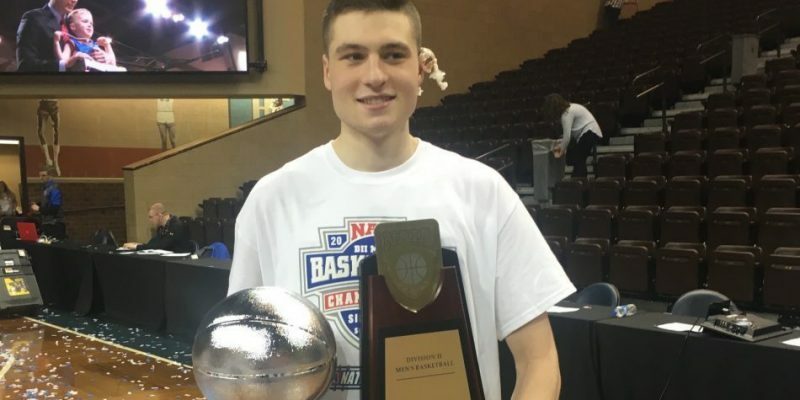 SIOUX FALLS, S. D. – Kyle Mangas helped his Indiana Wesleyan basketball team to a win in the NAIA National Championship Thursday.